On a personal note, you made my very difficult decision to sell Sally Slapcabbage, easy. Many thanks, and thank you for all your help in selling Rhiannon. You all made it a great experience. Your attention during this transaction was second to none...and on the day you put her on the market she sold! 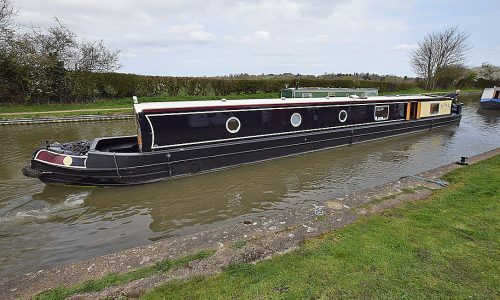 It has been a pleasure dealing with you & your colleagues & we would not hesitate in using you again or recommending you to anyone else interested in either selling or purchasing a narrowboat. I would definitely recommend visiting Rugby Boats website, it's easy to navigate around and the video's and other information are really helpful. My first port of call if we buy again will be Rugby Boats - I would highly recommend them for both buying and selling your boat. We had visited a large number of the brokers both around Rugby and further afield. None provided the dedicated and personal service that James and his team did. Our only comment regarding any changes you might make to improve this level of service is... don't bother, you are already ticking all of the boxes as far as we can see. Your professionalism, knowledge of the market, and honesty were very obvious. I would have absolutely no hesitation in recommending you to other people, whether they were looking to buy, or sell a boat. the level of service received from Rugby Boats, and in particular, from James and Paul, has been exemplary. Just a quick note to thank you and your team for the excellent service you provided during the sale of Chablis. The more I dealt with you, the more certain I was that I made the right choice of broker. The personalised customer service offered by James and his team made selling my boat as easy as it could be. He had a real understanding of boats and for prospective customers as well as a great feel for the market and how to pitch things. Ian said you were good and he did not lie. Congratulations! I have some ice I would like to sell to Eskimos - perhaps you could help? Thank you for all your help with completing the financial transactions & subsequently on the day we picked Juniper up, getting her ready for our collection. 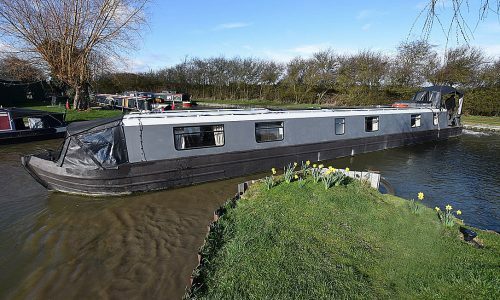 We would highly recommend anyone wanting to buy their own narrowboat to visit Rugby Boats and all of you in the Rugby Boats's team made it possible for us. Look no further than rugby boats. James is very professional and kept me updated with the sale of my boat. Many thanks James and all at Rugby boats for an excellent service. The sale of my boat was handled with ease and speed despite me not being in the country. 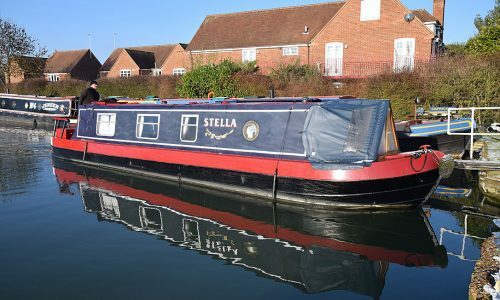 May I wish you, your family and Paul every success in the future and your buyers and sellers peace of mind in their transactions with Rugby Boats. Your marketing is way ahead of the opposition and it was this that encouraged me to ask you to sell Amelia rather than geographically closer brokers. We are extremely happy that we decided to place Midnight Rambler with you for sale. If the rest of our boating experience turns out to be only half as impressive as our introduction to this new adventure, then we shall still very glad we embarked upon this journey, which, will have been in no small part, attributable to the service we have received from Rugby Boats. It was a pleasure working with you for the sale of our boat. At all times we appreciated your frank and honest advice, prompt and courteous response to our queries, and the very professional marketing of the vessel. very impressed with both the level of honesty and helpful support that has been shown by your company. Hi James I am writing to thank you for selling our boat so quickly and so efficiently! I was amazed that you produced a purchaser within only one or two days from releasing the video of Amelia Rose. Thank you for your calm final negotiations. We will have no hesitation bringing our next boat to you to see if you can repeat the success story! The whole transaction was a pleasant and stress free experience. Your presentation and marketing were 1st class as was every other aspect of the sale. Would recommend rugby boats to anyone buying or selling a boat. Thank you also for such a professional service over the last couple of weeks...you and your staff have helped to make it an easier journey. Many thanks again and I hope that we are able to use your services again in the future. I am grateful for your professional services and enthusiasm. I sincerely appreciate your honestly together with your updated appraisals at all stages resulting in a most successful conclusion. It came as a refreshing change to find that doing business with people for, relatively, quite large sums of money, could actually be a pleasurable process without the grief and frustration of any high pressure sales techniques or concealed agendas. I could not have had more courteous help in purchasing my boat than that which James at Rugby boats gave me. Buying or selling these guys will treat you right! I would just like to say a huge Thank you to you and your team for the true professional and speedy way in concluding the sale of Secret Garden. I will definitely recommend you to anyone in the future. James, I'm almost lost for words at such efficiency. You have amazed me with your performance. I will definitely be recommending you to anyone who is buying or selling a narrowboat...well done and thank you all. 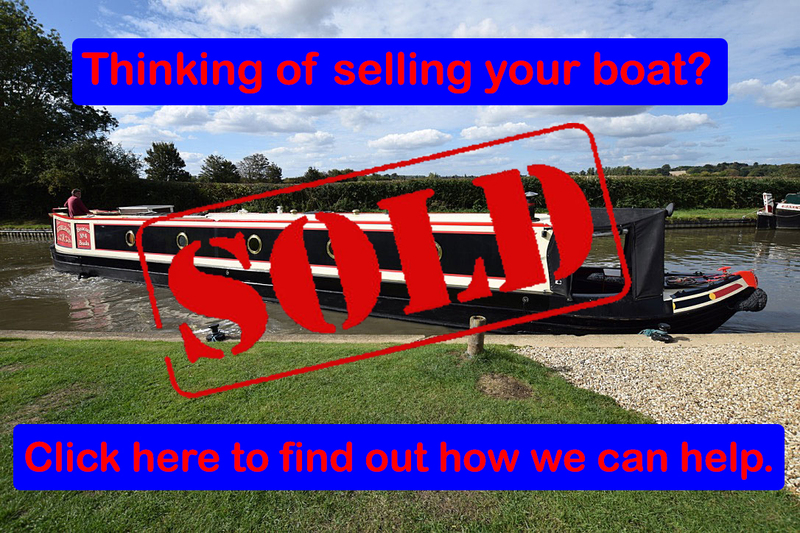 We would thoroughly recommend your brokerage to anyone thinking of either buying or selling their narrowboat. You have made what should have been a very stressful set of transactions into a very enjoyable experience. All in all a very impressive performance and we would recommend you to anyone. We came to you because of your excellent reputation, and we know that was a wise choice. Your advice and support during every step of the purchase and survey was invaluable. From the very start of looking at boats they had for sale, to buying and then all the way through to our maiden voyage, we could not have asked for a better experience. Before meeting you we obviously had to consider whether to sell through Rugby Boats as you were now an unknown quantity to us. Any misgivings we may have had were quickly dispelled on meeting you as you came across as being honest about your experience and enthusiastic about your new business. As a novice with a lot of questions, James and the team couldn't have been more helpful. They are very welcoming and go out of their way to help in any way possible. Thank you all so much for all your help in making the purchase of Isis so easy. For 20 years we have dreamed of owning our own narrowboat, and the Rugby Boats team made it a straightforward reality. The quality of service you provided was wonderful, from your accurate valuation to the assistance provided in delivering Juniper to your site, not to mention the very polished marketing. To have the money in our bank account within a week was brilliant so thanks to you and your team for all your effort. We never felt that we had to pester you or seek feedback from viewings, confident that you would get in touch when necessary. Thanks again for all your help - we couldn't have hoped for a better place to buy our boat. You have made us feel very calm through the process and understood our needs perfectly. When an offer was made we were happy in the way that a negotiated deal was agreed and the whole transaction completed in a stress free and professional manner. Thank you for a good job. "I can't praise Rugby Boat Sales highly enough! Extremely helpful, honest and personable throughout..."
Being completely new to the whole boating world, James and Claire went out of their way to help us get settled into our new life. A Calming and professional approach, providing a balanced view when offers came through and providing expert advice to settle finance and other matters. I would not hesitate to recommend James and his team at Rugby Boats. Your service, advice, details, videos, valuations and general approach to all the people you deal with sets you apart from any other brokerage we have dealt with before. We hoped for but did not really expect a quick transaction and to sell within a day was beyond our imagination. Super boats, super service and super people. James and his team kept me well informed and were honest and transparent. I couldn't have asked for more. James and Paul were really helpful, they provided advice and guidance without being "Pushy". They both guided us through the boat buying process all the way - it was a breeze. All of the boats we looked at at Rugby Boats are of excellent quality and are ready to live on immediately; something we didn't get when looking at other closeby marinas. Enter your email to receive updates when new boats are advertised. We will not share your information or bombard you with irrelevant emails. By entering your email address and clicking subscribe, you are agreeing for us to add your details to our mailing list. Rugby Boats started life in Rugby at Hillmorton Wharf, but moved to Stowe Hill Wharf in 2009. Stowe Hill is 2 miles from the M1 J16, just south of Weedon Bec on the A5 and roughly midway between Northampton to the East and Daventry to the West. We are located behind the Narrowboat pub.